Based on reviews from 9 experts and 155 users. Learn how our rankings work or see our guide to Scott running shoes. Updated Apr 2019. Although the market raves for Scott running shoes, the brand actually started their company with a different product—ski poles. Ed Scott, the founder, has managed to gain traction with the success of producing aluminum-based ski poles, that he decided to venture into other sports goods. In between the creation of the ski pole and the running shoe, Scott has manufactured many different products related to motocross and mountain biking. This included clothing, accessories, and bike parts; the company went on to make their own mountain bike. Then, in 2004, Scott enlists the help of a research and development facility in the USA, which resulted in the birth of their running shoe line. Right off the bat, Scott running shoes are designed for both male and female athletes. At present, Scott running shoes are focused on trail running, but they also regularly release their fair share of road running shoes. eRide - Among all the proprietary technologies from Scott, the eRide is, by far, their most notable one. Found in the midsole, the eRide comes in the form of a rocker-shaped foam that is aimed towards gait efficiency. With the eRide’s rocking-chair effect, there is an overall effect in the transition phase. Users of Scott running shoes have reviewed the eRide as improving their foot strike, while others have claimed of its reliability in long-distance running. The Kinabalu Supertrac and the Scott Palani SPT are the best examples that feature the eRide technology. AeroFoam - Another sole unit technology, the AeroFoam is usually the main component in the midsole of some Scott running shoes. The AeroFoam is made from lightweight materials, resulting in a softer and more substantial underfoot cushioning. In creating this technology, the makers have kept in mind to provide Scott running shoes with a wear-resistant quality. As a result, these shoes are cushier and longer lasting compared to traditional running shoes. Wet Traction Rubber - Designed to be resistant to abrasions, the Wet Traction Rubber equips the outsoles of Scott running shoes with efficient traction on a variety of surfaces. Apparent in its function, the Wet Traction Rubber is present in the trail shoe collection of Scott running shoes. As its name implies, this outsole compound excels in wet conditions by providing the right amount of traction but not an overly aggressive grip. The Kinabalu Power is one example of a Scott running shoe with this outsole feature. See how Scott running shoes compare with other brands here. Insole Concept - The Insole Concept is more of a design philosophy than a physical technology. It presents that the Scott running shoes for men and women have different, specific insoles, which differs in thickness. This feature enables the women’s running shoes to be thick enough to accommodate the smaller forefoot. It also provides a higher wrap to adequately support a narrower heel width. 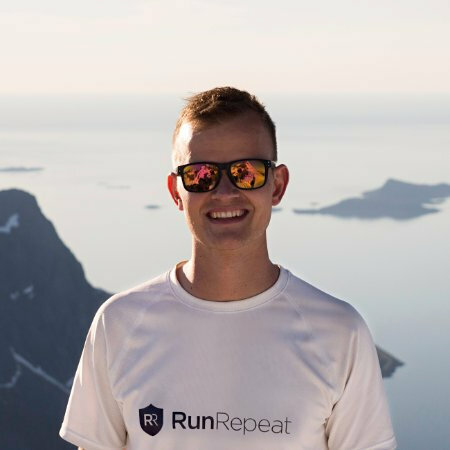 The information presented in this section is based on the ranking concept of RunRepeat. They do not necessarily reflect the ratings and sales of Scott running shoes. Scott Kinabalu Supertrac - According to users, the Kinabalu Supertrac has performed well in both long and short trail distances. Although a bit heavier compared to other Scott trail shoes, the Kinabalu Supertrac has been praised for its sturdy construction, durable outsole, and readiness for rugged conditions. Scott Kinabalu Enduro - This Scott running shoe gained reviews that veered on the positive; the protection and performance of this shoe proved to be unparalleled according to some, while some claimed it had improved their transition phase. 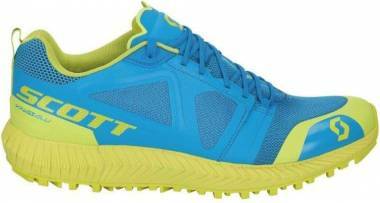 Scott Supertrac RC - A Scott running shoe designed for race day, the Supertrac RC manages extremes trails with ease. Users have been thoroughly impressed with how the shoe provided speed, aggressive tread, and maximum responsiveness. The Supertrac RC has proven itself to be reliable thanks to its sturdy yet flexible structure that delivers the ultimate performance on competitions. What makes Scott running shoes unique? The Scott brand might not be as big an industry player as other running shoe manufacturers such as Adidas or Nike, but they guarantee that their shoes are of the highest quality in the lowest possible price. Although there are many brands of running shoes in the market, Scott running shoes are known for their balance of comfort and durability, both of which are appealing characteristics for running shoes. How to select the most suitable Scott running shoe? When shopping for your pair of Scott running shoes, it is important to consider your needs in order to choose the most suitable model for your foot. The current collection of Scott running shoes consists mainly of trail running shoes and a few road running shoes. Make sure that you pick one according to the running condition you frequent in. Additionally, pronation also matters; Scott running shoes come in either neutral or stability that provides the necessary arch support for all pronation types.